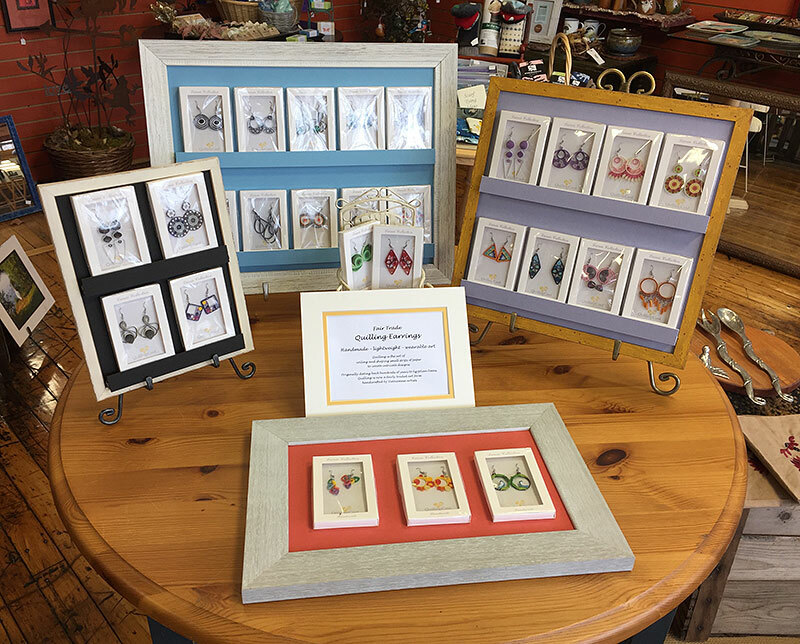 Framed in Time’s Artful Gift Gallery provides customers with an exciting, shopping experience that includes a plethora of art and handcrafted items that you won’t find in most other area stores. 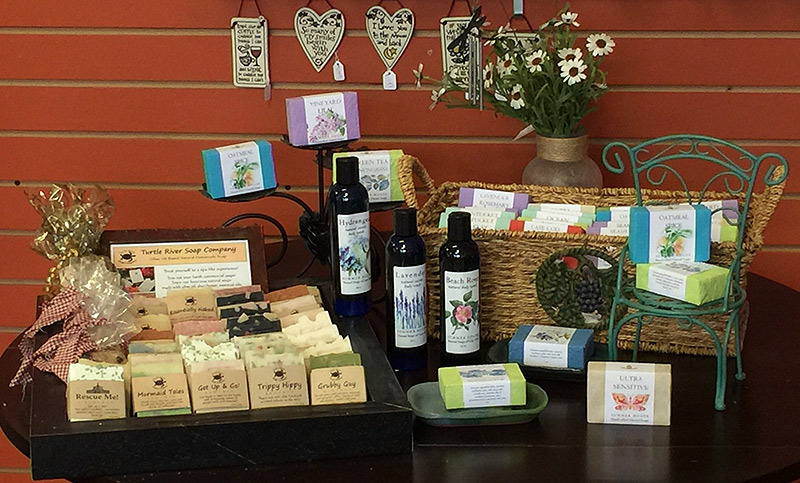 We pride ourselves on exhibiting works from local artists in the areas of pottery, jewelry, glassware, candles, small sculptures and more. 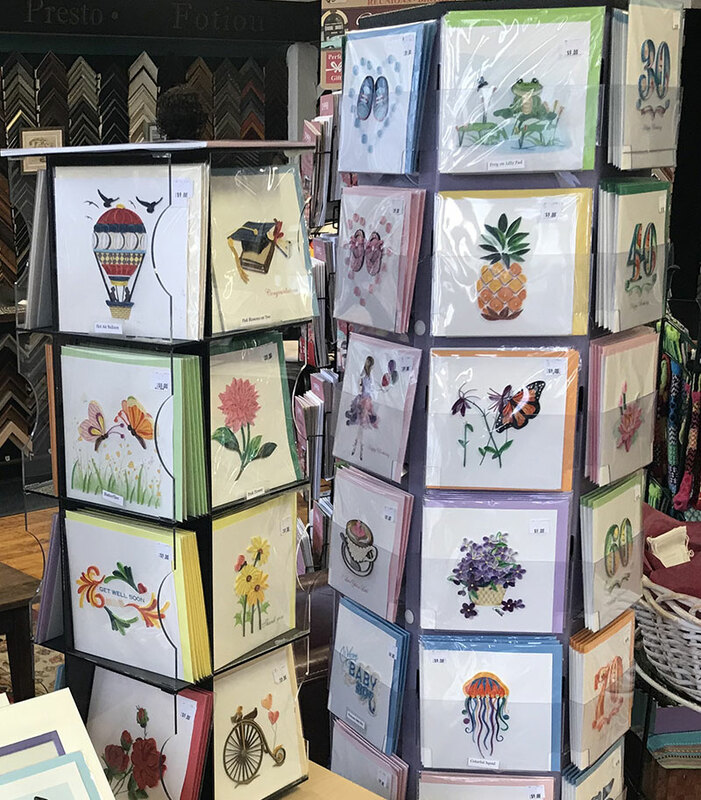 Particularly popular is our vast collection of hand-made quilling cards as well as our selection of Fairly Traded beaded ornaments, hand-knitted finger puppets and jewelry boxes. Below are just a few of the gift items we feature. Please stop in to browse at our complete, ever-changing showroom sometime soon! 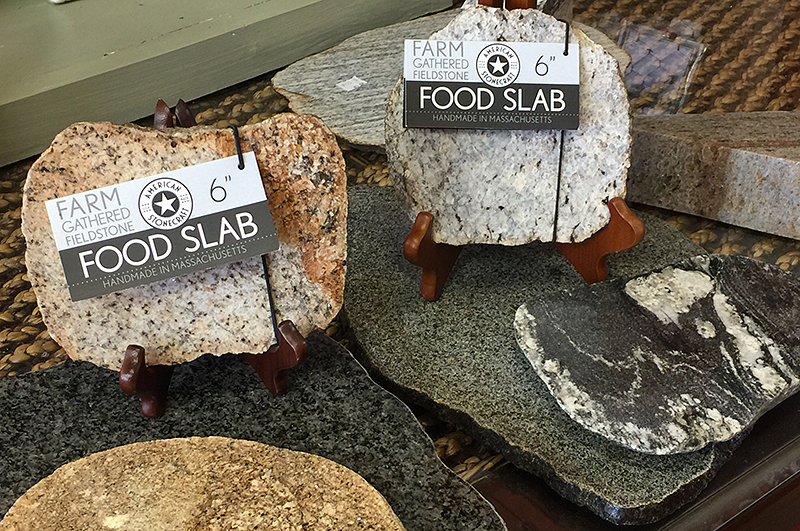 As featured on Chronicle in 2018, this company partners with 48 local farms to create a variety of stone products, each custom labeled with the name of the sourcing farm. Come in a choose one from a farm near you. 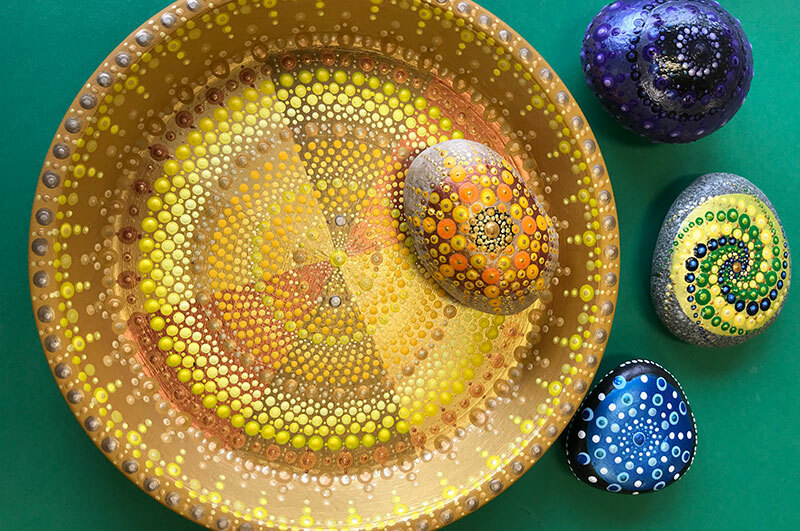 The design inspiration for these vibrantly hand painted stones created by a local Metrowest artist, originates from the Hindu Mandala, which is a useful tool in many cultures to help stabilize and reorder the inner life. Many people like to display them on their desk or table to relieve stress and keep the positive energy flowing throughout the day. 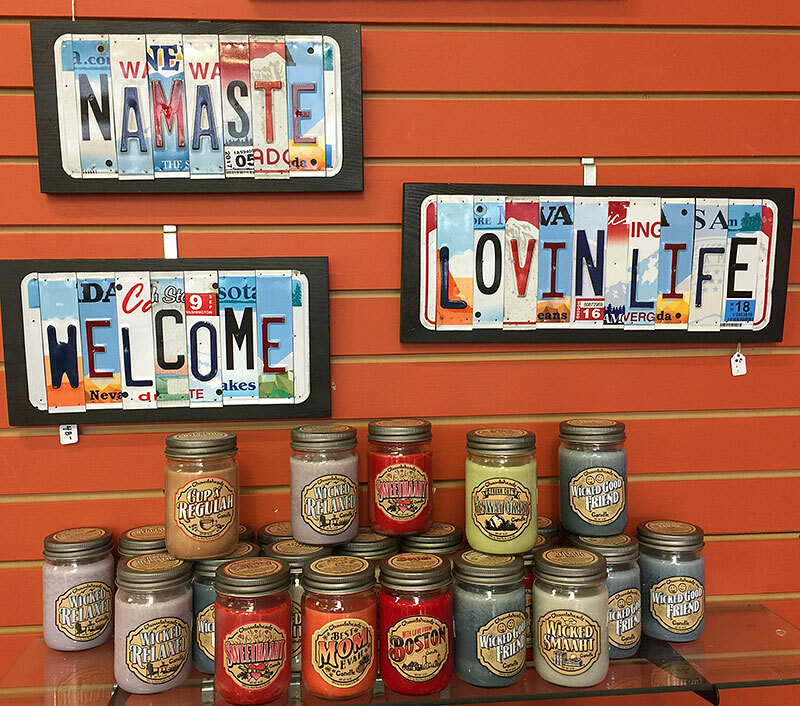 These 100% hand-poured soy candles are Boston born and specifically scented to create a “hometown fragrance” that matches their witty titles: Wicked Relaxed, Fenway Grass, Best Mom Evah and Sweethaaht are just a few of the delightful choices you will find here at the shop. We have dozens of cards for virtually all occasions in this line of intricately designed and hand-crafted quilling cards. They are one of our most popular items. Our quilling earrings are a new arrival this year. Fairly traded, hand crafted, light weight and colorful, these items are unique, beautiful and fun! Cape Cod and Turtle Rive Soaps include a blend of essential oils to produce a clean and invigorating effect. There is also a gentle natural body wash in the collection that has long been celebrated for its relaxing benefits and healing skincare properties.